I had very specific goals for Thanksgiving this year, and my husband was kind enough to agree to accommodate me in making them happen. I’ve been following the Auto-Immune Protocol since July in an attempt to reverse some of my auto-immune symptoms, and because it is such a strict diet, partaking in Thanksgiving without making the meal myself wasn’t an option. So when my friend Charlie offered to host us for Thanksgiving while we were in the Dallas/Fort Worth area, I didn’t want to get my hopes up. But after much back and forth, it was clear this would work for us. 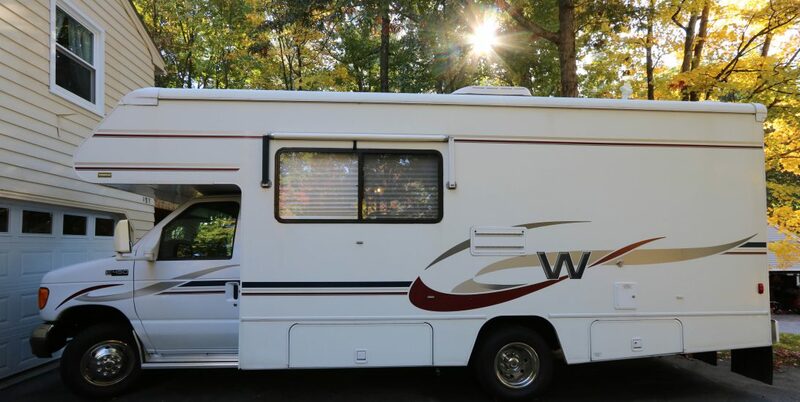 Three nights camped in their driveway with electric hookups and showers; a chance to cook my own menu (with assistance on turkey, sweet potatoes and brussel sprouts); and the chance to socialize a bit with friends. 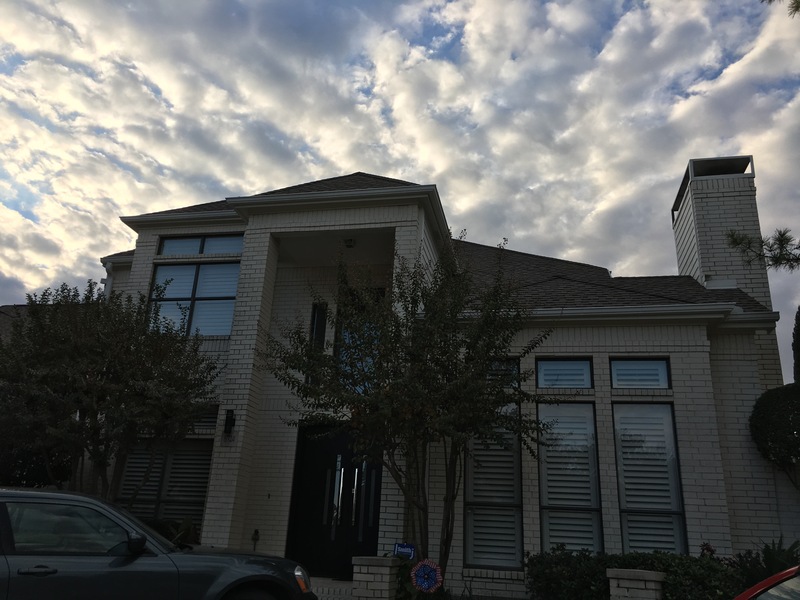 Their home in Plano, right next to Dallas, is gorgeous and in a lovely neighborhood, and it was a great place to spend a few days. (I will be sharing the full details on my menu successes and surprises here.) They have a wonderful group of friends and neighbors that we enjoyed spending time with. While we were in Plano, I attended a screen acting class, which was fun. I also took some nice walks and picked up a rental car, courtesy of our insurance company. And I loved having a full kitchen to spread out in and cook. 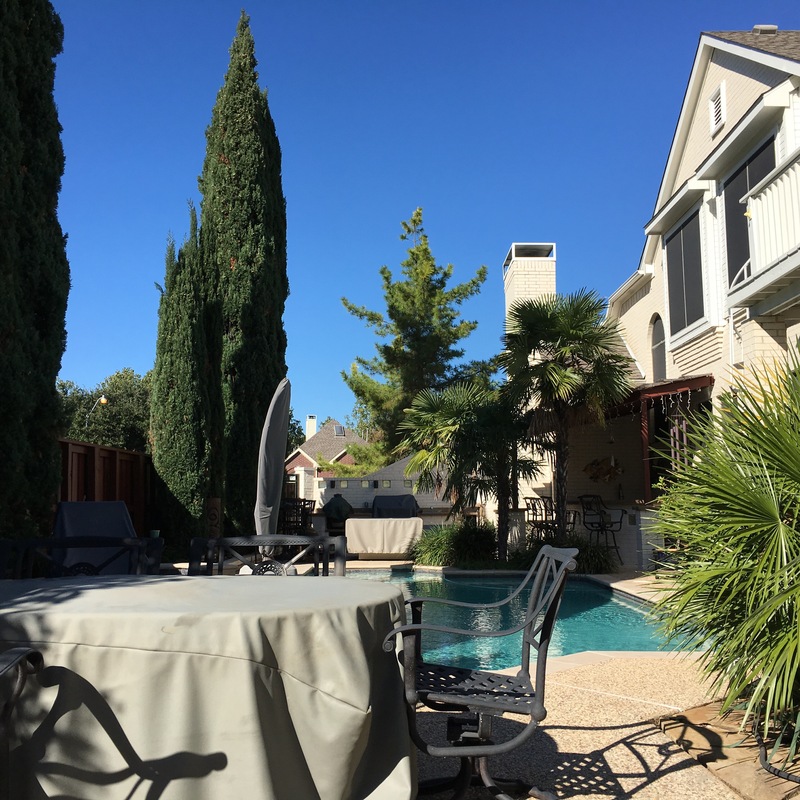 So far the Dallas area has beautiful weather – we ate outside on Thanksgiving – but it isn’t a very attractive city. Our campground is more than a half hour away though, on a lake, and it really couldn’t be more beautiful. We plan to visit downtown Fort Worth today and we might explore in the coming days as well depending on how inspired we are. 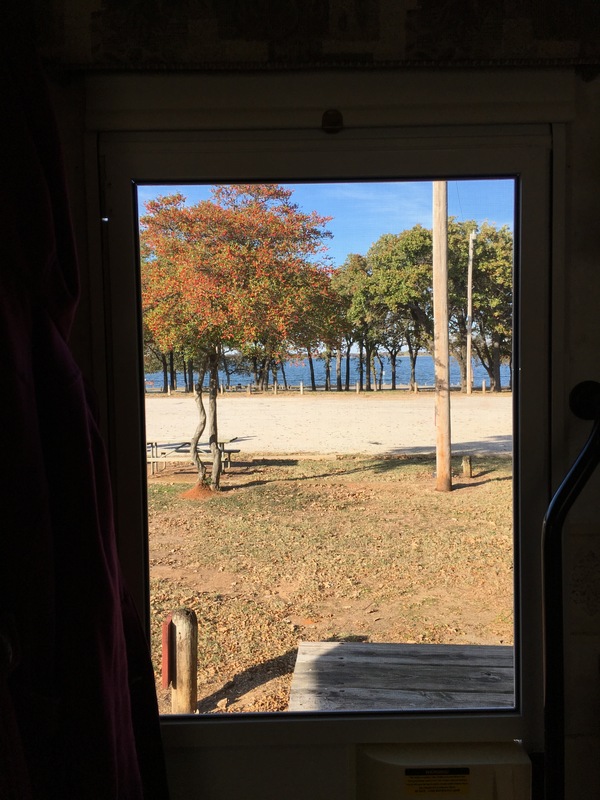 We’re feeling thankful for this beautiful campground and for friends and family, and we are using this time to regroup and plan what’s next. My theater company in NH is performing before Christmas, so I have lots of prep work to do for that, and Ross has work to do to prepare for his gigs as well. So we will need to leave time for work as well as play. Thanks for reading! I will share more photos and stories in the coming days. Hope you had an enjoyable Thanksgiving.